This opinion Piece was widely circulated through the Independent Newspapers Group and was published in the Daily News (08 Sept 2008), Cape Argus (11 Sept.2008) and in other newspapers belonging to the group. 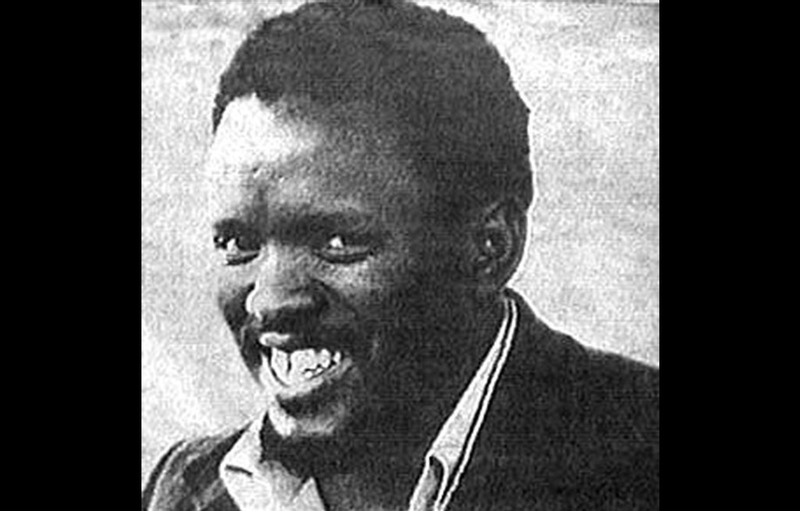 Thirty years ago in 1977 the beast of Apartheid snuffed out the life of one of the greatest thinkers in the liberation pantheon of South Africa: Steve Biko. He was too much of a threat to the rotten core of the monster. He had to be eliminated so that his ideas would not germinate. How does one kill ideas? It was too late. In the nine years of his incredible activism, Biko removed the chains that bound our minds and gave us back our humanity in the face of an implacable and a menacing enemy. Biko’s philosophy made it clear to the masses that we would remain oppressed as long as we, the oppressed, allowed it to continue. To understand the era we must see it in the words of the then Minister of Police, Jimmy Kruger who told the Nationalist Party faithful at a congress in 1977 that “Biko’s death leaves me cold. Yes, I am sad that he is dead, but I would be sad too if I died.” This was met with peals of approving laughter from the delegates, much to the horror of the world. What was even more ominous is that in the “Whites only” election following Biko’s death, the same fascist Nationalist Party was returned to the lily white parliament with an even greater majority! The increased White majority endorsed the words of Kruger and what had been done to Biko! It sent out a powerful message to Black South Africa: in Biko’s own earlier words “Black man, you are on your own.” White South Africa had withdrawn into its laager and the dye was cast. Black Consciousness was a relatively simple yet a profound philosophy. It expounded that the liberation of the country began with the liberation of the self. Simply, it snatched back from the White racist system the right of persons of colour to define themselves and their own reality. If you remember, people of colour were called “non-whites”. In other words we were defined by what we were not, and not by what we were. The positive was “White” and we were defined by this group as the “other”, its negative and despised opposite. Steve Biko said, “I refuse to have my humanity defined by a people and a system that is openly hostile to Black people”. Apartheid negated. Biko’s philosophy affirmed and that was where its power lay. It restored pride, dignity and integrity to all people of colour. He believed that Apartheid took hold of the Black man and emptied his brain of self identity and self worth. Essentially, it emasculated the Black man. Black Consciousness restored the dignity of people of colour. This may sound just a little simplistic but it must be seen in the context of the horror of the power of the Apartheid state. Together with open support from the West, Apartheid was in its ascendancy and reacted with extreme force to any perceived threat. While throwing up its hands in mock horror at the excesses of John Vorster, the then Prime Minister and Jimmy Kruger, Minister of Police, the West tut-tutting and clicking its cynical tongue in mock revulsion, said to the Apartheid government and to White South Africa: “Go on, we are behind you”. It also sent a powerful message to Black South Africa! We were on our own. liberation burnt very low and was almost extinguished. It is only in recent years that credit is almost grudgingly given to the enormity of the role of the Black Consciousness Movement in the liberation of South Africa. Biko was the very catalyst of and embodiment of the new thinking. The wonder of it all was that most of this original thinking was developed and articulated when Biko was still in his 20s! To many of us he became South Africa’s Frantz Fanon. What was amazing about Biko was his warmth, humour and all embracing humanity. His closest friends were found in all the race groups. Donald Woods, Father Aelred Stubbs, Dr Rick Turner, Strini Moodley, Gees Abraham, Sam Moodley, Peter Jones and Asha Rambally were just some of those in the circle who knew him intimately. Biko had a way of reaching out to people with his genuine charisma and made each feel a unique human being. He was not just non-racist, he was openly anti-racist. He was like a magnet that drew everyone to him. To the youth of the late 1960s and the 1970s Biko represented a new hope and the spawning of a new philosophy with which to confront the fearsome might of the Apartheid state and its allies, across the globe: the liberation of the mind of the oppressed. Biko was on target. Liberate the mind and physical liberation will follow. The West, while slapping the wrist of the Apartheid rulers for the world to see, was in bed with the racists. Virtually every major Western government was benefiting from trade with South Africa or by other means. In a nutshell, the White West identified with White South Africa. Black South Africa was abandoned to its own resources. The colonials and their bed fellows ganged up on the same side. Even in the late 1980s Britain’s Prime Minister, Margaret Thatcher and the US President, Ronald Regan branded SWAPO and the ANC as terrorist organizations and Nelson Mandela as a terrorist who should not be released from Robben Island! It was this same Thatcher who received Apartheid’s highest honor, recognizing her as a true friend of (White) South Africa. Britain had nailed its colours to the mast as had the USA. Now it was to be a fight to the finish. We prepared to use whatever means necessary in pursuit of that goal. A great part of the armor we bore was the mantle of Biko’s belief in the self. In the face of such a formidable local enemy and its global allies, we defied the world and the route for this was through an unshakeable belief in ourselves and the righteousness of our beliefs. Once the liberation of the mind took place, it was relatively easy to relegate Apartheid to the sidelines and to concentrate on our real goal viz. physical liberation. The fear factor held little threat for us. If we had to die in pursuit of the liberation of South Africa, then that was the price we had to pay. Freedom was not going to come easy. This was the defining moment when Apartheid was defeated. From then on it was only a question of time to total liberation. The fascists held no fear for us, their terror was neutralised. Black Consciousness was a philosophy that appealed to the mass of young people and later to the adults. It was this fearlessness that led to the youth of Soweto, Gugulethu, Athlone, Bonthevuil, Langa, Nyanga, Umlazi, Kwa Mashu and Chatsworth to face the might of the Apartheid military and police. Even primary school children joined the struggle. The fear factor was gone forever. It came as a tremendous release to us. The fears of our fathers’ generation melted into the mists. We were going to be our own liberators and we were prepared to pay the price. Apartheid was on the run, pursued by the liberators of the Biko generation. The rest is history. I strongly advise many of our current leadership to read the writings of Biko, simply as a means of staying on the track of democracy and remembering where we came from and where we are headed to. His writings are as relevant today as they were in the 1960s and 1970s. P R Dullay is an environmental, social and political activist.